Reassurance shield as 5 joins 85. A couple miles later we’ll approach picturesque Fortuna. Turn left for CR 7. Reassurance shield as we head out of Fortuna. 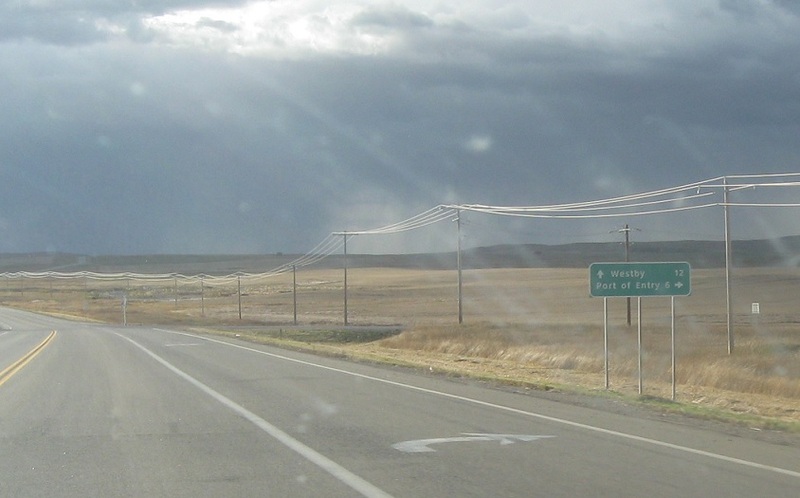 Just after we head out of Fortuna, US 85 will split to head up to Canada. 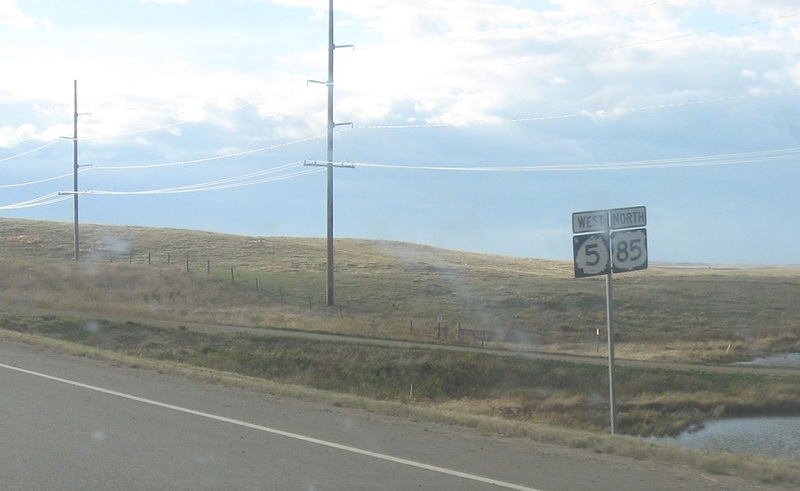 Stay on 5 west for Westby, Mont. 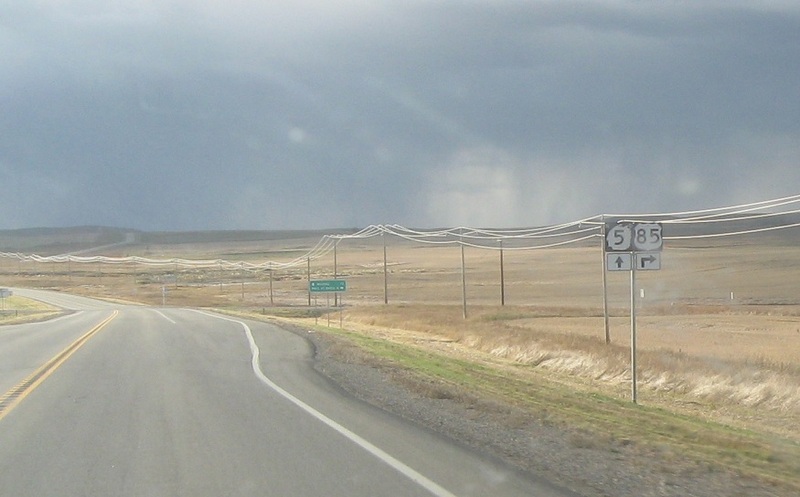 Follow 85 north to Saskatchewan.